Antique Store located in Marengo, Illinois, specializing in TRUE antiques, eclectic and unique, mid-century or earlier. We don't monkey with low-quality or newer so-called antiques. Our focus includes advertising, country store, farm, furniture, home, industrial, kitchen, petroliana, photographica, tools, and high quality small items. Our retail store, located at 505 North State Street (Route 23) in Marengo (just south of Route 176) has had well over 4700 visitors since our 2016 Memorial Day opening. Our Hours: May through August: 11-5 Friday, Saturday & Sunday. September & October: 11-5 Saturday & Sunday. November through April: By appointment only (to schedule, call Don: 815/814-5075) To find us easily, just look for Misty the Bulldog's face on our signs near that intersection! 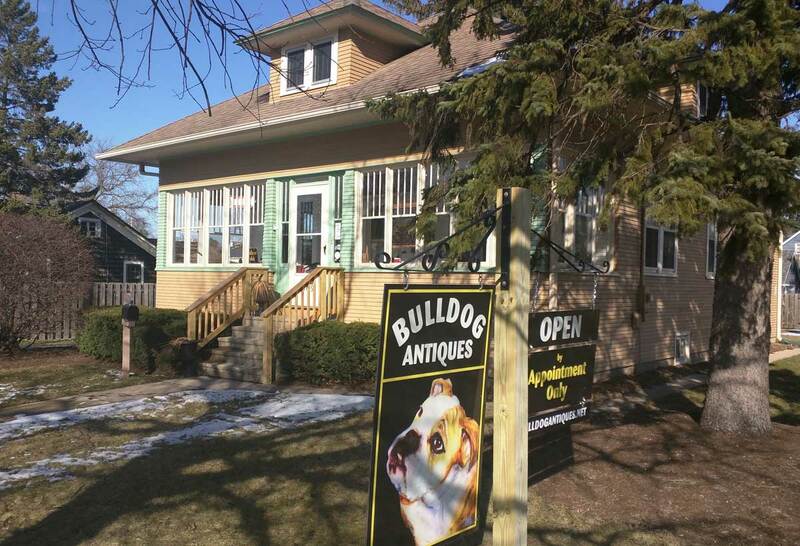 Bulldog Antique owners are Chuck Follett, of Marengo, and Don Rose, of Crystal Lake. Business partners, co-workers and friends for 30+ years. 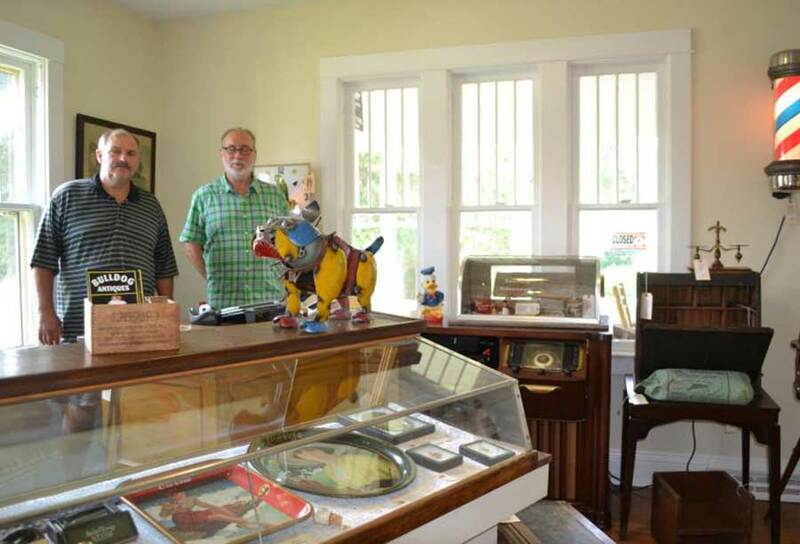 It’s long been Chuck’s dream to open an antique shop; he and his wife have collected pieces for many years. Don has a long, strong interest in history (on the Board of the McHenry County Historical Society), and also has expertise in technology. His earlier background in graphics & photography led him to operate a camera shop, including collectible photographica as well as many other vintage categories. With Bulldog, they’re having lots of fun. As time goes by, our website will reflect our entire inventory of truly authentic antique items. Our first year’s focus was on getting our physical shop open; now we’re working on our online store and systems to keep fresh photos and inventory listings online for you. We’re located in a lovely 1919 home right on Marengo’s main thoroughfare, State Street (Route 23). We have kitchen items in the kitchen, bathroom items in the bathroom, and so on. Our basement is open, too. 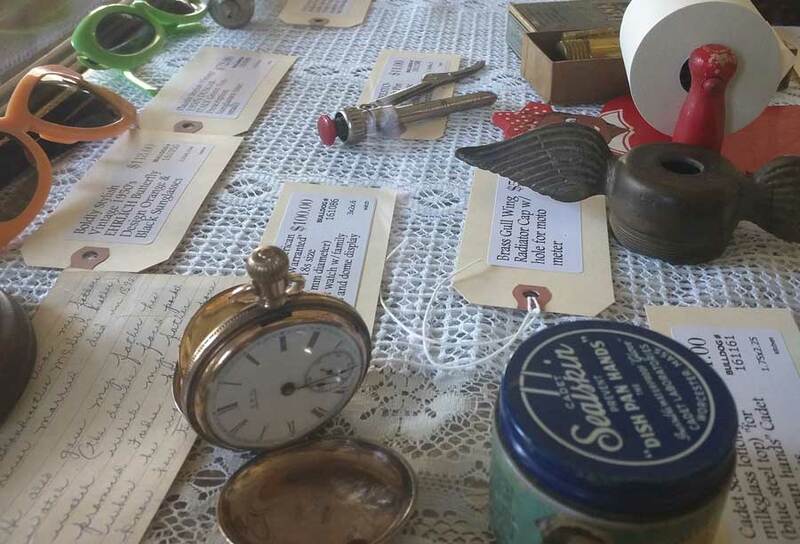 Everyone who visits loves our clean, uncluttered rooms and 'curator style' price tags, with detailed history for each item. Please use our CONTACT form to sign up, so we can keep you informed about what's going on at the ‘dog. There's a spot there for you to provide some thoughts; maybe what you're looking for or would like to sell on consignment, or simply how you like our website. Hearing from our customers is definitely one of our favorite things. We often find items folks are looking for, so ask away. As we build our business, we’re also building a great network of customers, pickers and experts. We want to keep you in the Bulldog loop! 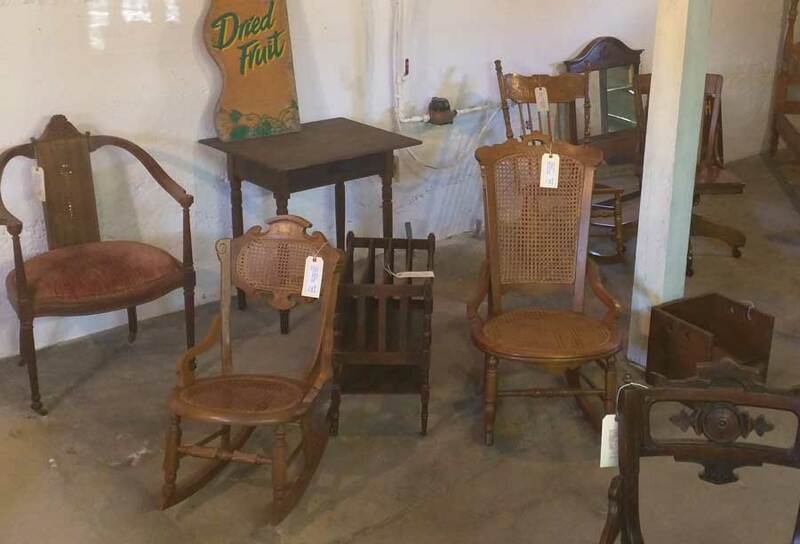 We're always looking for unique items for possible consignment sale or purchase.